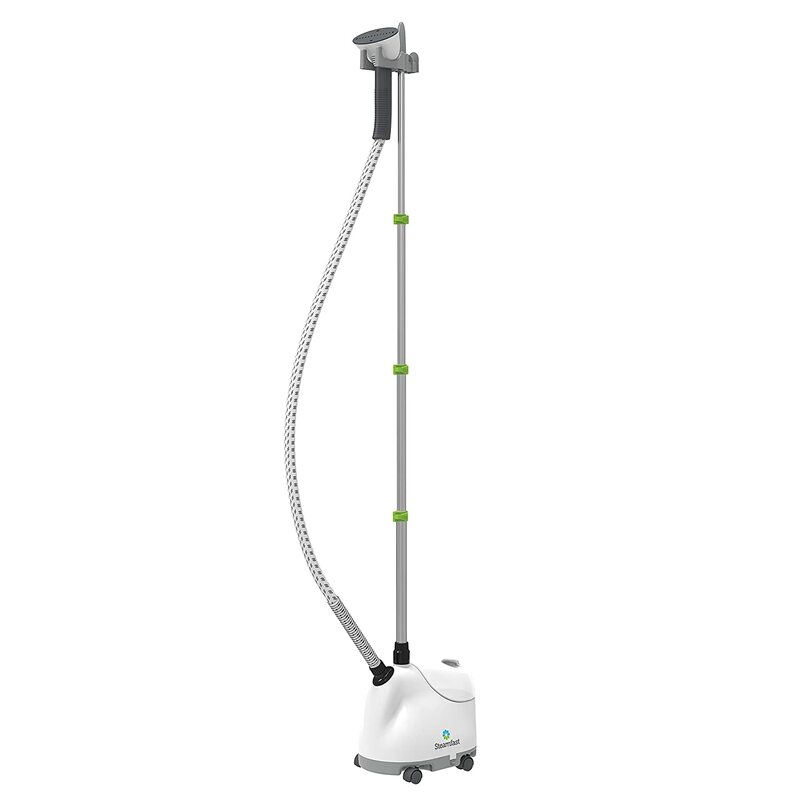 So what exactly is a garment steamer, you may ask. Well, simply put, it is often called a steamer, and its primary purpose is to clear out wrinkles from fabrics by using very high-temperature steam. Well, you probably figured that much out, right?! Good stuff! I thought so! There are several categories of clothing steamers: commercial steamers, which are used by dry cleaning companies as well as clothing manufacturing firms and are what are called, floor models. Next, there are mid-sized clothing steamers and are used by seamstresses and alteration shops or what are known as tailors. Thirdly, which is the newest generation, are the mini handheld models. These are typically for personal use and vacation purposes, due to their smaller size and portability. How do garment steamers work? 2. Lightweight and portable, with a compact case for easy storage and small enough to fit in your suitcase. They are very travel-friendly and can be carried easily in trips. 5. 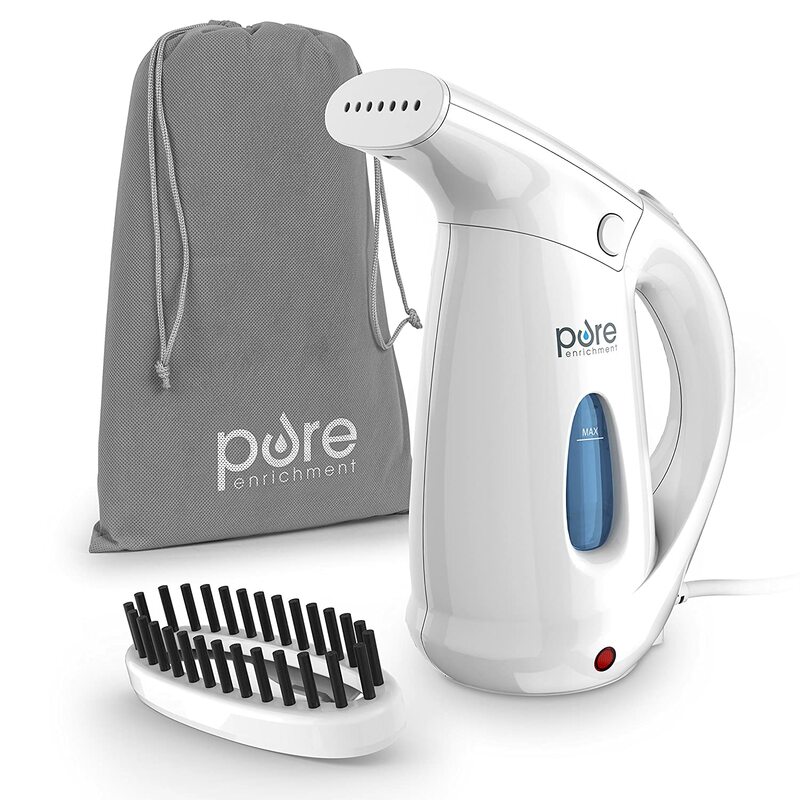 Its spit-free and drip-free feature make it convenient to use, unlike flat clothes irons which may spit the garments. 6. Safe to use on all fabrics. Garment Steamer is very gentle on clothes and gets rid of all those stubborn wrinkles in no time, unlike flat clothes irons which may take a lot of time. They work by relaxing the clothing fibers, versus making them flat, like what a typical clothes iron would do. Another benefit of steaming versus ironing is that they are not as rough on clothing and get rid of the problem of clothes being scorched. Who likes a print of iron on their shirt? Not me, that’s who! 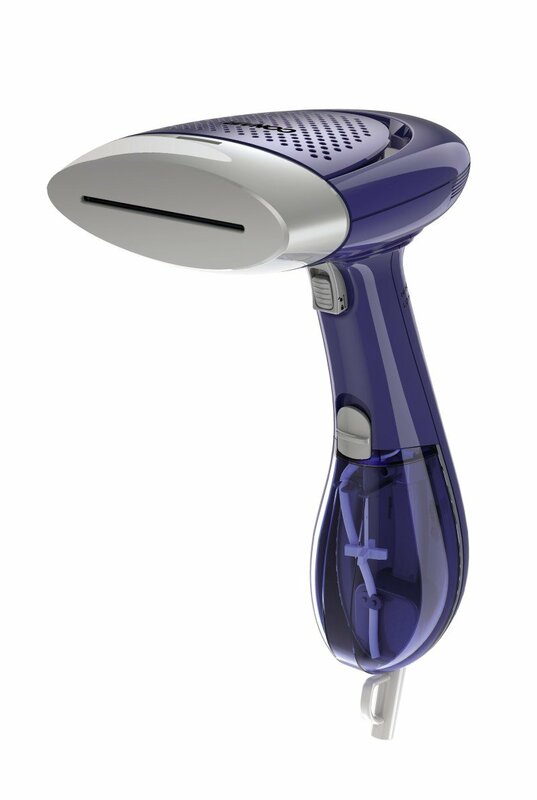 The most common clothing steamers are the handheld models, and they are quite simple to use. The process for steaming garments is straight forward: hang the garment somewhere secure, fill up the steamer’s water tank, wait for a little bit for the unit to heat up to operating temperature and ‘steam’ the fabric in a side-to-side motion. The big difference as you may have noticed is that with a clothes steamer, there isn’t any contact with the fabric like you would see with an iron. Quite simply, it is the steam that releases the wrinkles in the fabric. Because of this, there is significantly less wear and tear on the garment. Thus, it will last longer. Over the years, many clothing steamer manufacturers have existed, but the one that has been around the longest is Jiffy Steamer. They invented the steamer and fabric steaming process and have been around since 1940. These days, there are numerous brands in the marketplace, including but not limited to Conair, Rowenta, Steam fast and Home Perfect. With the advent of online shopping, it is now possible to research and purchase clothing steamers online, which makes it very convenient for people to have one in the home or have a model they can bring with them while traveling.